Okay, you and I both know that Halloween means parties, and parties mean music. The problem with this is that so many parties play the same music over and over again each and every year. And while that’s not such a bad thing the first, oh, twenty or so times you hear a song in two weeks, you do start to find more fear in the concept of hearing that song again as the number of listenings enters triple digits than you would find in spending the night in an abandoned insane asylum playing with a Ouija board. But fear not, friends, for I have a (sort of) solution in two parts. The first part is the column itself. I’m going to give you some songs that are horror or monster related in nature that might make nice additions to your party soundtrack in between old standbys like 45 Grave’s “Party Time“, Radio Werewolf’s “Buried Alive“, Alice Cooper’s “He’s Back“, Warren Zevon’s “Werewolves of London“, Sheb Wooley’s “One Eyed, One Horned, Flying, Purple People Eater“, and the rest of the usual suspects. The second part comes down below in the comments section. 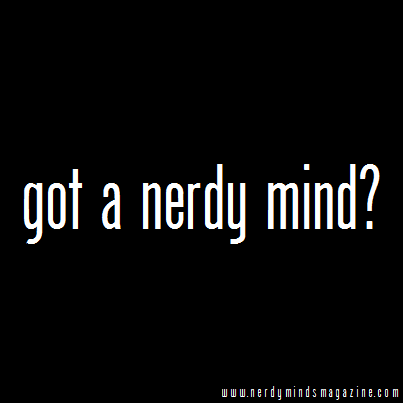 There’s a lot of obscure stuff out there that gets overlooked since no one can know about all of it. There are also a number of local or regional groups making music in various parts of the country that aren’t yet well known outside of their area. And as it turns out, some of these people are genre fans and like to make a few songs here and there that would fit in great in an October playlist and on a Halloween Party soundtrack. So, in the comments below, share what you know. Now, let’s get to the list. Well, let’s get to the list after a quick note on a group that does really good horror music. If I don’t mention these guys, several of my friends will be posting about how in the blue hell I could have possibly forgotten about them. Well, I didn’t forget about them. They’re just not quite the right music for this list. Two words, one name- Midnight Syndicate. If you don’t know who the artists known as Midnight Syndicate are, you need to know. Midnight Syndicate does music that is, as they put it, horror soundtracks for films that never existed. Pop a CD in and you’ll have some of the best background music out there for a dark but enjoyable evening, a night working at the keyboard, or for greeting young ghouls at the door on Halloween night. And their newest CD, Monsters of Legend, absolutely knocks it out of the park. I highly recommend checking them out and giving them a listen if you’re not familiar with them. I’m presenting the list in a more or less random order. This isn’t a top ten list where #1 is the best and number #10 isn’t as good as the other 9. I’m listing these by artists rather than songs as there are some artists represented below by more than one song. Finally, unless otherwise noted, the songs on this list can be found at all of the usual brick and mortar and/or electronic retailers. We’ll start out with a favorite of a friend of mine called “Zombie” by Family Force 5. I’ve been told that Family Force 5 is typically tagged as a Christian rap/rock band, but, unlike a lot of groups that fall under that umbrella, you don’t really get any great sense of that here. I’m not a big rap fan myself, but the beat is catchy and, hey, it’s zombies. Who doesn’t love zombies? Changing the tempo while staying in the zombie genre, we have the oddly catchy “Re: Your Brains” up next. This is the kind of song that you’ll probably want to sing karaoke style as a group when everyone has had just enough of their favorite adult beverages to really cut loose during the chorus. The Monsterminators are the Monster Madhouse band, Monster Madhouse being a Telly Award winning DC area horror host program that has been seen on TV in states ranging from New York to Texas. They’ve also had a quick spotlight moment on The Tonight Show with Jay Leno. Their band has played live in various states, and most recently the new lineup opened for classic rock band U.F.O. for one of their Virginia tour dates. Much of their music is loud, classic mettle/rock in style, and has monsters and classic horror at the heart of it. I present you with two of their songs. Approaching their eighth year in existence, the show and the band are retooling, reorganizing, and revamping. As a result, their website is presently offline. 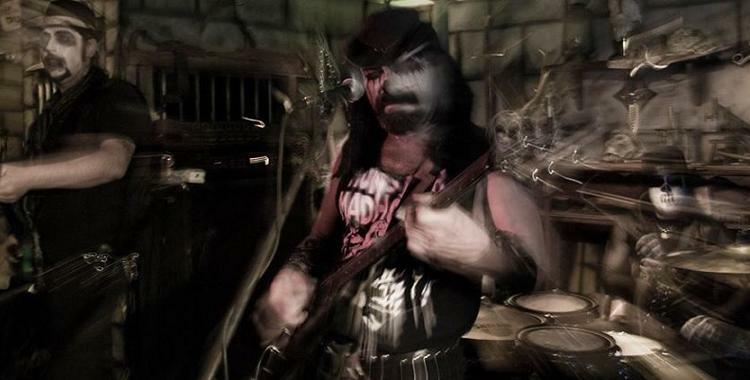 However, interested parties can reach Jerry Moore (Karlos Borloff) with inquiries about CDs through the Monster Madhouse Facebook and MySpace pages or through the Karlos Borloff Facebook page. You can also sample some of his other works at Jerry Moore’s Fandalism page. The Creeping Cruds is a nice little band out of Nashville, TN who play some seriously fun horror themed music. There first album, The Incredibly Strange Creatures Who Stopped Living and Became the Creeping Cruds, has a rocking little ode to both horror hosts and the horror monsters that they hosted that goes by the name “All Hail the Horror Host”. There’s no video of that one available, but it can be found and played in its entirety here. Not having that one to embed, I give you “I Eat the Living” in its place. The Creeping Cruds have two albums on the market that can be found on Amazon, iTunes, and other sales sites. The band can also be found on both Facebook and MySpace. Ghost Train was an interesting one-off project by some guys from The Wreckage, and the music on their album Songs for Swingin’ Corpses was called everything from Horror-Punk to Gothbilly. One of the best party songs on the album is “Amazing Colossal Man” and its joyfully over the top nature devoted to a bald, b-movie monster from the film of the same name. Ghost Train’s album is no longer in print, so finding a secondhand copy up for sale is like finding Venus’s arms. If you like the song, you might not be able to grab it for this year. However, if you start looking now you might be able to snag a copy for next year’s party mix. Along the same lines as Ghost Train, while not quite as Rockabilly in some of their influences, is The Heavy with “Can’t Play Dead”. Dee Snider was one hell of a busy boy in the early 2000s. He got back together with his old crew in the late 90s and has been doing Twisted Sister tour dates since then; he’s worked on an album with Lordi; released a metal Christmas album; done voiceover work; co-hosted the late, great Fangoria Radio; and let his horror freak flag fly with the one shot deal concept album Oculus Infernum by Van Helsing’s Curse. The album told the story of the Van Helsing family and the curse they carry through the generations of being the ones who must always be called upon to fight evil. And as a great evil awakens, they must once again respond. The music on the album is classic horror music rewritten to be a mix of orchestral and metal, and nothing is a better example of what the album feels like than the opening track of “Tubular Hell”. That’s the live version. The studio version is sold through the Midnight Syndicate website here as well as through Amazon, iTunes and others. Changing the tempo just a bit is Marilyn Manson doing a cover of Danny Elfman’s “This is Halloween” from The Nightmare Before Christmas. It’s actually a fairly old cover, but I’m including it because I still run across people who have never heard of it. Usually it’s people who are not the usual MM fans but end up liking the cover all the same. Moving a bit away from the more metal and hard rock stuff brings us to Scott’s Garage. They did an original song a few years back for a documentary on Virginia’s horror hosts by Horse Archer Productions. 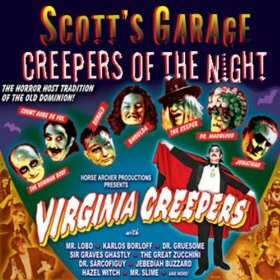 The documentary was called Virginia Creepers, so working it into that template they came up with “Creepers of the Night” as the theme. There’s no video that I’m aware of, but you can hear a sample of it here. “Wolfman Told Me Tonight” by The Taters is a goofy, fun little song that fits in well with the silly side of Halloween. No quality video appears to be available, but you can check the song out here. Come on… It’s a song called “Norman Bates” for crying out loud. How can that not be a no-brainer? Along the same lines of being a no-brainer for a Halloween CD mix is “Bela Lugosi’s Dead” by Bauhaus. This one is a little less obvious since there really isn’t any specific hook in the lyrics or the style in which the song is played. However, this one falls into horror by association as most people that have heard Richard Cheese’s cover of “Down with the Sickness” likely only ever heard it in the Dawn of the Dead remake and think of that when they hear it. Most geeks know who this guy is, but there are a surprising number of people out there in geek circles who haven’t. Or, as is often the case, they know one of his songs without knowing that it’s his song. That’s usually either “Brains” or “Land of the Dead” from The Grim Adventures of Billy and Mandy. Some of his other songs get a little more adult in nature. I’ll be nice to the editors and not embed something like “Zombie Prostitute” or “Cantina” here. However, I’m pretty sure I can get away with this one. For you types with the long fangs, he also does a little number called “Vampire Club” that has a nice little beat to it. And if your inclined to be a pirate for Halloween, he’s got you covered there as well. Don’t recognize the name? He’s the guy behind Repo! The Genetic Opera and The Devil’s Carnival. Both have soundtracks available out there that, depending on your tastes, have some tracks with nice beats, wickedly fun lyrics, and a more than just a little demented nature to them. And now I leave you with this one. It’s not actually a part of my list; it’s just one of my personal favorite goofy Halloween songs. Let’s see….where to begin, where to BEGIN…. First off, no All Hallow’s Eve would be complete without a track or two from Carfax Abbey, http://www.carfaxabbey.com. My personal favorites of their stuff are Ketamine, Love/Hate/Kind, and Spitshine. Gary Billings, the lead singer, also has some solo work out, too. Tapping the Vein, similarly, is another good one. Heather, their lead singer, has such a vocal range that I’ve seen her blow the systems in a few clubs. My favorite of theirs, it’s a whole album, is The Damage. You can’t listen to them without being haunted. Anything by Bach is always welcome. There are probably more bouncing around my noggin, but they don’t wanna come out to play. Lots of stuff by the Cramps! Roky Erikson– Night of the Vampire, Burn the Flame, Creature with the ATom Brain, heck, just all of it! Didn’t Kate Bush do a song about Hammer Horror movies? all their stuff falls in here as well. and several other tunes that easily fall here. Of course White Zombie, Rob Zombie, and ….and….and…I will just stop here, because I could go on till my fingers were worked to the bone!